Assiniboine Industrial Services has been in operation for over 15 years providing Westman and area with Industrial Sandblasting, Coatings, Spray Foam Installation and Vacuum Truck Services. We are one of the only ISNetworld certified companies in Manitoba, Canada and also home to a Certified NACE Coating Inspector. We are very proud of our compliance rating and ability to work for companies like Koch Mineral Services, Agrium and Enbridge Pipelines. 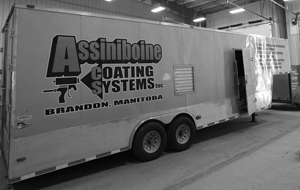 Assiniboine Coating Systems is our sister company providing field and shop services. 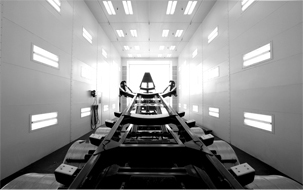 ACS provides creative solutions for all your coating needs from pipe coating to spray foam applications. Assiniboine Coating Systems uses the latest in product technology to deliver you excellent results, any project, large or small. Assiniboine Industrial Services is committed to protecting the quality of the environment in which it operates, and in turn, ensures the health and safety of our employees, customers, and the public impacted by our operations, products and services presently and in the future. Assiniboine Industrial Services will conduct every aspect of our business in conformance with applicable laws, regulations, and industry standards. Where there are no legal or industrial standards, we will use responsible practices to minimize environmental health and safety practices. Assiniboine Industrial Services will design, construct, operate and maintain facilities in a responsible manner. With safety and efficiency always the top priority in our work, we can be counted on for providing top quality services.